The first written evidence on coffee dates back to about 1000BC, but coffee as a tonic and useful product is known for centuries back in time. To this day, coffee retains its position as one of the most popular and consumed beverages in the world, the benefits and harms of it are the subject of constant research and continual controversy. It is a fact that coffee is a powerful antioxidant and has beneficial effects on the human body, of course, when consumed in reasonable amounts. Coffee is the second most consumed beverage after water, and competition is only provided by tea. A curious fact is that each year the world drinks approximately 400 billion cups of coffee - only oil has a greater economic importance as a raw material globally. Ethiopians have used coffee from time immemorial. Arabs first started to drink brewed coffee beans. By the 18th century, however, the use of coffee remained limited. The earliest more detailed information on coffee found in Arabic sources, dating from around 1000 BC. The most famous and considered the best gourmet coffee, "Mocha" is named after the Yemeni port of Mocha. The popularization of coffee starts from Yemen, although it’s home is considered to be Ethiopia, where to this day, coffee is cultivated as wild culture. Gradually, over the next centuries, coffee became the subject of extensive trade, gradually spread throughout the world. The first public presentation of coffee in France took place in 1664, when at a luncheon in the Louvre, Louis XIV tried it for the first time. Subsequently the king issued a decree that approved the drink. But actually, open appearance of coffee in France was a few years later, in December 1669. In Italy, coffee appears in the middle of the 17th century. The legend of the Capuchin monks, about a monastery located north of Rome, says they invented cappuccino - perhaps most famous Italian coffee today. Like all ascetics, they were deprived of earthly joys. Well, they figured out their own little one - drink coffee with milk that was previously beaten over hot steam, to produce a rich, fluffy lather. But to make the foam more resistant, during the whipping, they added a spoonful of thick cream. Coffee tree is a tropical evergreen plant. It needs a lot of moisture and heat, but the affects it adversely and therefore, in the plantations are planted other, trees to shade it. Left to grow wild, a coffee tree can reach a height of more than 10 m. The coffee tree belongs to the genus of the family fife Rubiatsee. With industrial purpose, there are the following main types: Arabica Coffee, and Robusta Coffee. 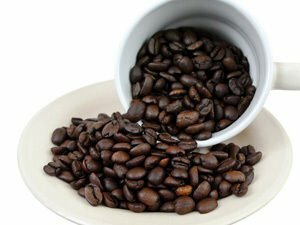 The beans contain from 0.6 to 2.4% alkaloid caffeine (which for the most part, is related to chlorogenic acid), nitrogenous substances, fats, sugars, organic acids and many other substances. The coffee fruit is ripe nine months after flowering and can then be picked. The picking of coffee is mainly done manually. The general term for picking coffee takes about four months for Arabica and for Robusta, a little longer. To give the coffee flavor, green seeds are stored for several years, until they mature. The chemical composition of coffee is too complicated. It is important to note that there are significant changes in the composition of raw and roasted coffee. 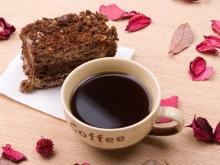 Of great importance is its origin, and in roasted coffee - the extent and duration of baking. Raw coffee contains: 8.15% water, 11.3% protein, 4.14% mineral salts, 10.95% fat, 47% insoluble substances. The slurry of coffee has an acid strength about 29%. 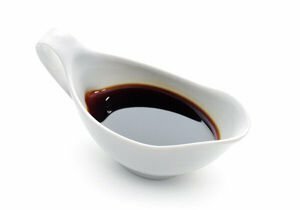 It contains: 5.25% soluble protein, 1.99% caffeine, chlorogenic acid, 5.7%, 5.3% sucrose, 10% unspecified substances. In the process of roasting coffee, it loses much of its water, but due to the gasification process, its volume increases. This weight loss reaches 23%. 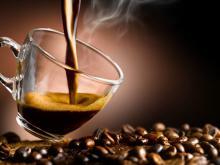 In the coffee beans, there is oxalic, citric acid and pirogrozene in small quantities. 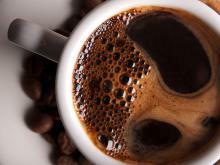 Coffee also contains small amounts of sulfur compounds that become toxic in acidic media. Best coffees are the Arab "mocha", then Colombian, followed by Guatemalan, Brazilian and Jamaican. 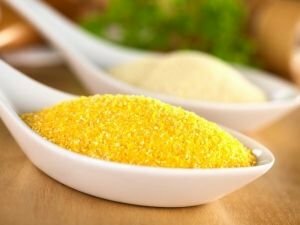 They differ in the size of the seed, their color, taste and smell, the absolute and relative weight and percentage of alkaloids. Roasted coffee is kept in tightly closed containers in a cool place for 6 months without losing it’s flavor. 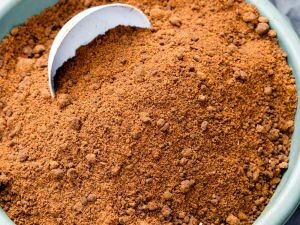 The shelf life of ground coffee is much smaller (7-8 weeks). 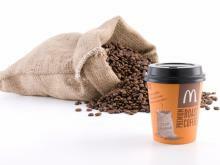 The most widespread use of coffee beans is a hot caffeinated beverage, without which millions of people can not go. Espresso is one of the most common forms of consumption of our favorite coffee. The most common variety of coffee which is made into espresso is Robusta. 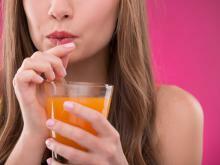 It has a high caffeine content and is cheaper, so - very common. Schwarz coffee is another very popular variation of caffeinated beverages. It is lighter than espresso, but to make it takes longer, because the boiling water passes through raw coffee for a long time. Furthermore, you can drink coffee in combination with milk, cream, cinnamon and even whiskey. Undisputed is the taste of coffee with milk added to it. This is the most common combination. Different tastes have prompted people to exhibit and enviable imagination when preparing coffee. 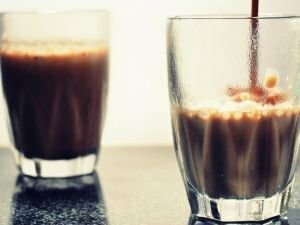 In summer, nobody likes hot drinks, which is why the cold frappe coffee, also known as ice coffee, came to be. On the basis of espresso, there are other derivatives and mixed drinks, like cappuccino. Coffee is used in many ice creams, cakes and creams. One of the most popular deserts in the world - tiramisu, gets its divine taste from coffee. Daily and moderate consumption of coffee – with no milk, sugar or cream, is an excellent way to maintain not only your tone but also health. 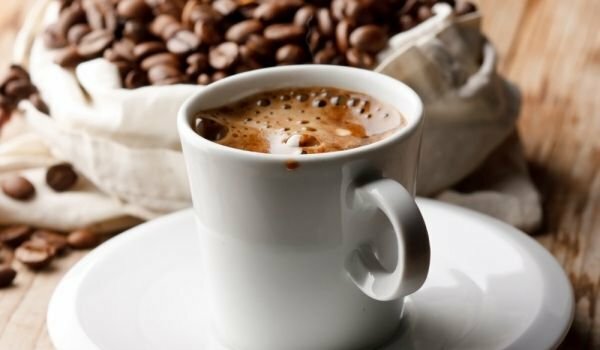 In addition to prevention of cardiovascular disease coffee reduces the likelihood of colon cancer, Parkinson’s disease and the formation of kidney stones. 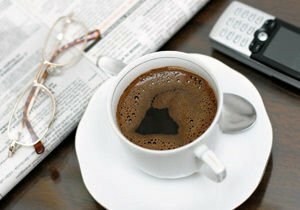 In the daytime, coffee stimulates concentration and increased attention due to caffeine. 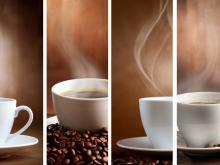 Coffee also helps you to have a positive mood, as the liquid contains natural antioxidants. 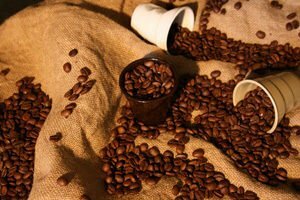 If the process of roasting the coffee was carried out correctly, it’s quinine derivatives of acid substances affect nerve cells, blocking painful desire for alcohol or drugs, increases confidence and removes the possibility of depression. 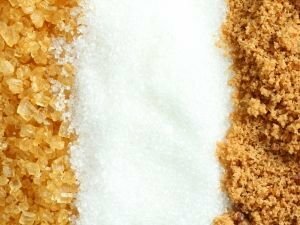 Taking two to four cups of coffee a day is not only harmless, but reduces the risk of a general diabetes - type 2, which is acquired through obesity, stress, but is also hereditary. Overall consumption of coffee in moderate amounts - up to 3 cups a day, is considered beneficial. It energizes, refreshes and relieves indigestion. 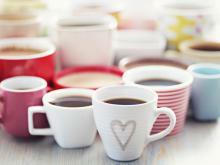 Problems can occur if you drink more than 6 cups a day. The consequences of excessive consumption of coffee include palpitations, tremors, nervousness, even fear neurosis. As many good qualities as coffee has, it should not be overdone. 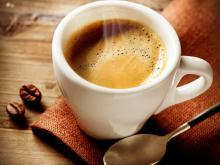 Coffee should not be used by people suffering from stomach diseases - colitis, gastritis, ulcers. 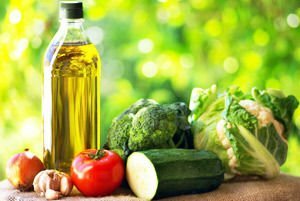 This energizing fluid is recommended for women in menopause. Coffee and other caffeinated beverages contribute to the development of osteoporosis (damage to the skeleton, which is characterized by reduced bone mass, "osteons" - bone, "Poros" - holes), reduces the amount of calcium in the body, increasing the risk of fractures. Excessive consumption of coffee (8 or more cups per day) also increases the risk of fetal loss in pregnant women, the risk is three times greater than in mothers who do not drink coffee.